How Healthy Is Your Handbag? A handbag is a woman’s best friend, her companion as she battles through each day carrying all she needs. What many handbag users don’t realise is the germs that their arm candy might be carrying too! From exposure to toilet floors, kitchen counters and public transportation to name a few. When you think about how handbags are handled, it’s easy to see how these germs could be transferred onto other surfaces and cause contamination. It’s enough to make you want to start undertaking a regular Bag Clean regime. Scientific tests have even proven that a handbag can carry more bacteria than your average toilet seat… gross right? 1. If you carry food and drink in your handbag, keep it in a sealed container to avoid any spillages. 2. Empty your handbag out regularly (ensure you check any pockets), then shake out the dirt and any bits of rubbish inside. 3. Store in a cool dry clean, stuffed with tissue paper keep in a dust cover when not in use. 4. Maintain your exotic leather at home, by using a germ killing product regularly, such as our Antibacterial Handbag Wipes or Anti-Bacterial Cleanse products. Whatever you do – don’t use a baby wipe to clean any dirt off your handbag or purse, as these can damage the finish. 5. 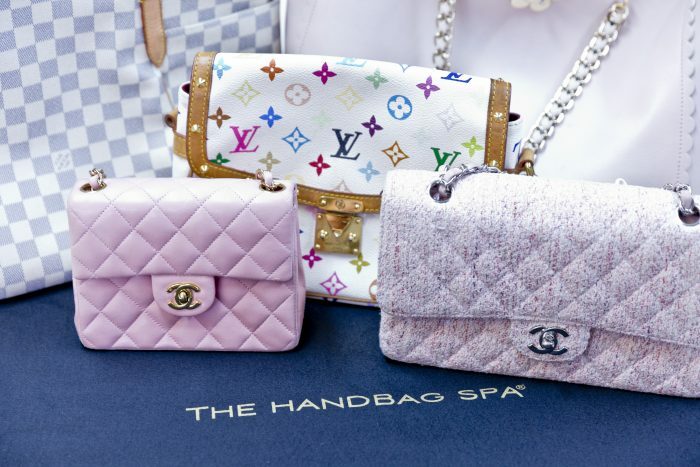 For any severe dirt / staining / colour loss etc, we recommend a professional clean by our expert technicians at The Handbag Spa. Here at The Handbag Spa, we care about healthy handbags and have sought to eliminate the risk. By working with the world’s finest leather chemists to create an antibacterial cleanser – proven to kill 99% of common bacteria! Anti-Bacterial Cleanse is the U.K’s only proven anti-bacterial killing product for this application, specifically designed for handbags. Not only that, but Anti-Bacterial Cleanse is effective on ALL types of leather and fabric – meaning you’re whole handbag and purse collection can be bacteria free! Keep Your Bag Clean with Anti-Bacterial Cleanse. 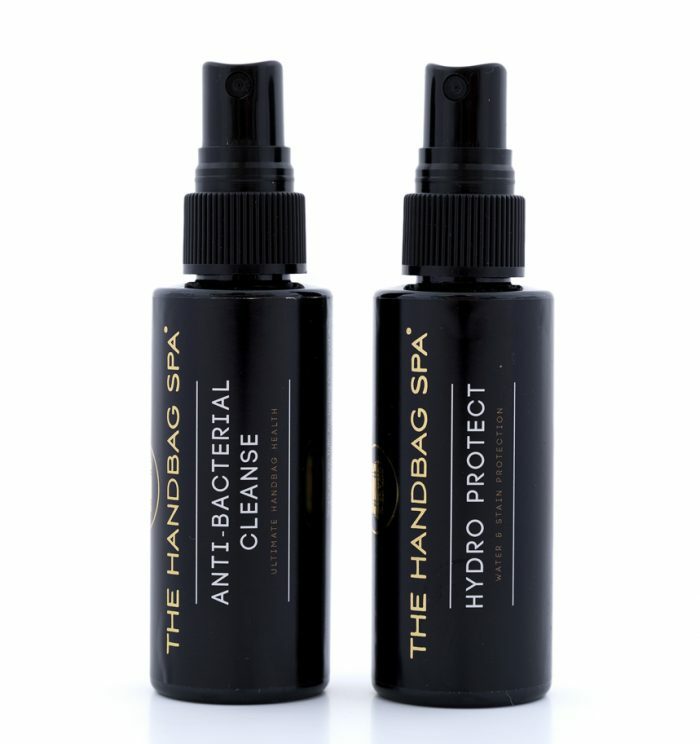 Anti-Bacterial Cleanse can be used on ALL types of leather and fabric making it perfect for ALL handbags and purses! So finished and unfinished leathers, lambskin and exotic leathers, suede, nubuck and all types of fabric including coated canvas can all be bacteria free.